To foster an environment of excellent centre of human resource development in plant sciences and its exploitation for the benefit of mankind at local, regional, and global level. To conduct innovative research on the motifs and processes of plant life and their environments. To identify the present and future challenges of Plant sciences and to develop the strategies for conservation of indigenous plant resources. To develop the department as the region’s nodal centre for imparting skill and extension. 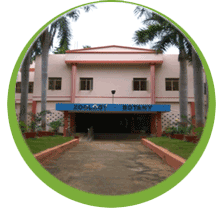 The Department of Botany, one of the oldest departments of Kakatiya University, was established in 1968 in the erstwhile PG centre of Osmania University. The founding fathers with their foresight and vision have laid strong foundation for teaching and carrying out research in plant sciences. Over the years, it has steadily progressed into one of the prestigious departments in the university. The faculty members are engaged in active research through the plan funds of UGC, CSIR, NRSC, IIRS, DBT, DST, ICAR, AICTE and other funding agencies. Most of the teaching faculty members have worked in research labs in UK, USA, Germany, France, Australia, Netherlands, Singapore, Thailand, Brazil, etc. under UGC education and exchange programmes. In recognition of excellent research conducted by the faculty, UGC, New Delhi has sanctioned funds under 7th to 12th plan period and also under SAP-DRS-I, DRS-II, DRS-III & BSR programmes. DST, New Delhi has sanctioned FIST scheme for improving infrastructure for advanced research. The infrastructural facilities were greatly expanded. The research wok carried out by the faculty and their scholars has received appreciation and the department is able to carve its own uniqueness in diverse areas of plant sciences. The testimony of these efforts and hard work is measured in terms of quality research publications in reputed national and international journals. The students after completion of M.Sc. course are leaving the portals of the department with great confidence. The department is a vigorous one with all its academic activities. It has organized a number of national seminars, symposia and workshops. The department has been instrumental in starting Microbiology and Biotechnology departments as regular and M.Sc. Environmental Science, M.Sc. Botany and M.Phil. in distance mode. Non-teaching faculty also played a vital role in the growth and development of the department. Golden Jubliee Celebrations Organized by Dept. of Botany, KU.